RECENT UPDATES: Podsheets is our open source set of tools for managing podcasts and podcast businesses New version of Software Daily, our app and ad-free subscription service Software Daily is looking for help with Android engineering, QA, machine learning, and more FindCollabs Hackathon has ended–winners will probably be announced by the time this episode airs; we will be announcing our next hackathon in a few weeks, so stay tuned Open source policy has become a business issue as well as a political one. Businesses like Elastic, MongoDB (the company), and Redis Labs have started to view the open source licenses of the projects they work on as a means for business defensibility against cloud providers offering similar services. It remains to be seen how viable this strategy will be for the commercial open source vendors. Companies that do not directly sell commercial open source are also grappling with questions around open source licensing. Facebook has become a force in the open source world through projects like React and GraphQL. Facebook leads these projects, but Facebook is not monetizing them other than to the extent that they use the projects to build Facebook.com. Facebook’s incentives are aligned with the rest of the industry on the quality of the GraphQL and React projects. Proper licensing can help Facebook keep those incentives in alignment. Joel Marcey, Michael Cheng, and Kathy Kam from Facebook join me for a discussion of the state of open source licensing, and how that impacts Facebook. 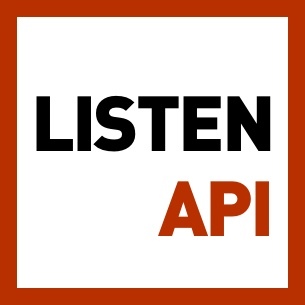 The post Facebook OSS License Policy with Joel Marcey, Michael Cheng, and Kathy Kam appeared first on Software Engineering Daily. Disclaimer: The podcast and artwork embedded on this page are from Software Engineering Daily, which is the property of its owner and not affiliated with or endorsed by Listen Notes, Inc.
Search past episodes of Software Engineering Daily.